How to measure up and prepare for the fitting of a Stira Folding Attic Stairs. Our Fitters have a range of Stiras with them when they call out for your free consultation. A Fitter call out does not require measurements. If you think your house has non standard ceiling heights, having your floor to ceiling measurements ready when arranging your appointment can make the quotation process easier. DIY or international purchases will need all the measurements (floor to ceiling, opening width and length) ready for when you make your order. 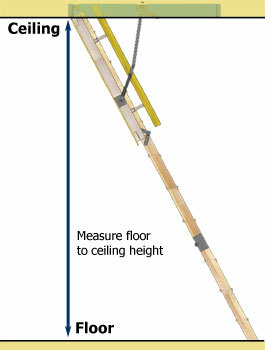 Ceiling height is, in many cases, the only measurement you need to buy a loft ladder. Measure the vertical distance from the floor to the ceiling (not floor to floor). Bungalows: Many bungalows will have an 8ft 6” (2.6m) high ceiling or possible higher. If you are purchasing a Stira from us DIY you will need to have 100% confirmed floor to ceiling height (in the area the Stira will be installed) and the measurements of the opening. To ensure you select the correct size of attic ladder to fit between the joists in your attic. measure the distance between the joists from inside the attic, this will give you the rough opening measurement. Double check you are measuring between the ceiling joists, and not just the space of the existing attic opening. Most attic openings will have additional framing, this will be removed by the fitter as the Stira comes with its own frame. The measurement between the joists will often be slightly wider than the attic ladder frame, but that is intentional. This gap allows for squaring the frame during fitting, so that the ladder stands level on the floor when in use. 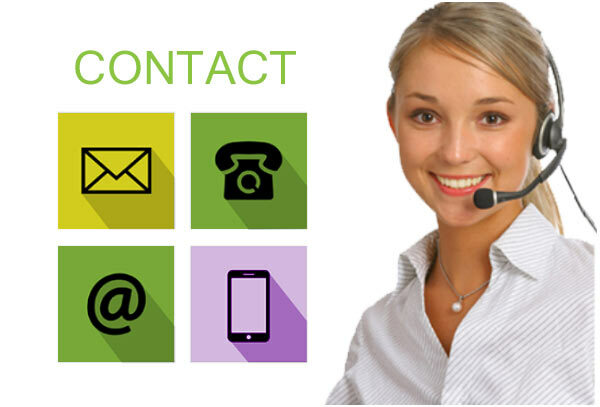 Providing the opening length when making an appointment is not necessary for customers on the island of Ireland (and customers in the UK that are in areas covered by our distributors) as our Fitters and UK distributors will complete the whole installation of the Stira for you. Extending the opening length on site is part of our fitting service. You can check around the opening inside the attic to assure there are no wires or pipes next to the opening. Our Fitters are not certified to move pipes or wire, so they would need to be moved before our Fitters can install the Stira. If you are unsure our Fitter can come out to measure up and advise. Most openings would be extended to at least 41 ¼” (1.048m) to incorporate the folding of the ladder. But the opening length depends on your floor to ceiling height. You do want to make sure you have the room to extend the length of the attic opening. Check in the direction you intend to extend the opening to ensure there are no wires, water pipes,or walls in the way. If you are replacing an existing brand of attic ladder with a different brand, it is important to take note of the difference in the opening lengths. If the new attic ladder has a shorter frame length than the old one, there would be a gap on the end of the new attic ladder. There are three options to remedying differences in frame sizes. 1. Put in new plasterboard, re-plaster and paint the gap. 2. Cover the gap with larger architrave, this option is easy and straightforward to achieve. 3. Stira customers have the option of getting a custom built Stira. This option would be more a more convenient and cheaper option than re-plastering the area around the attic opening. What about clearance above the opening? The Stira Folding Attic Stairs is a 3-part-fold ladder. This means the ladder folds onto itself, taking up very little space above the trapdoor, and does not go past the area of the trapdoor. The total height of the Stira unit (when folded/in closed position) is generally less than 18” (45cm). What you may want to take note of the headroom available when stepping off the ladder, Pointing the ladder to the tallest part of the attic can help with this. Other brands of attic ladders, use other design methods such as sliding ladders and 2-part-fold ladders. These designs require more space and planning. Sliding ladders require floor space in the attic, this space can be as long as the ceiling height, taking up floor and storage space. 2-part-fold ladders can take up more vertical space. Because of these spatial requirements Stira do not make ladders of the sliding or 2-part-fold design. Most Homes have insulation in the attic, usually in the floor of the attic. Depending on the insulation type or age it can be up to 18” (45cm) high. If your attic insulation is above the joists it will raise the floor level, creating a big step up from the top of the ladder to the floor of the attic. Unfortunately there is little a ladder can do about this distance, as the position of the top step is dictated by the European standard. To make accessing the attic easier an attic handrail can be installed by our fitter, this handrail is fixed to the floor of the attic slightly in front of the opening improving confidence when stepping on or off the top of the ladder.